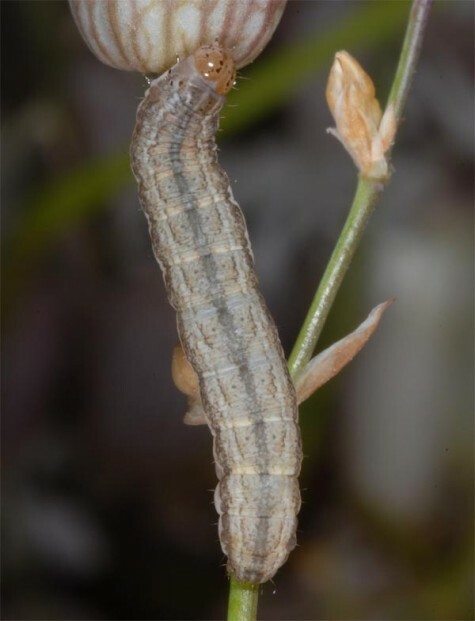 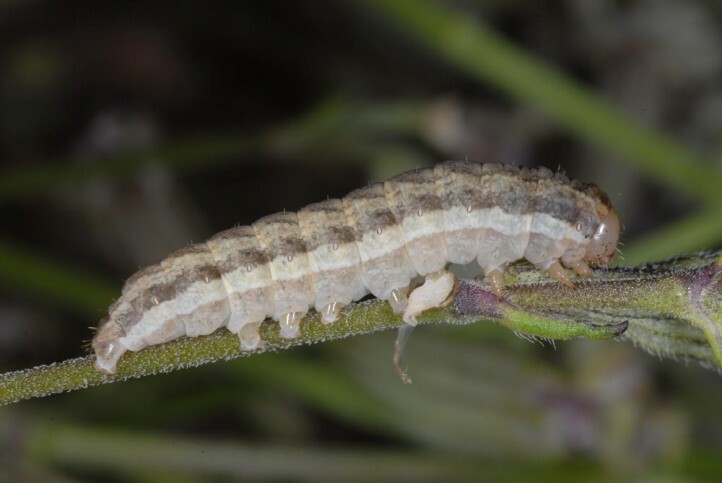 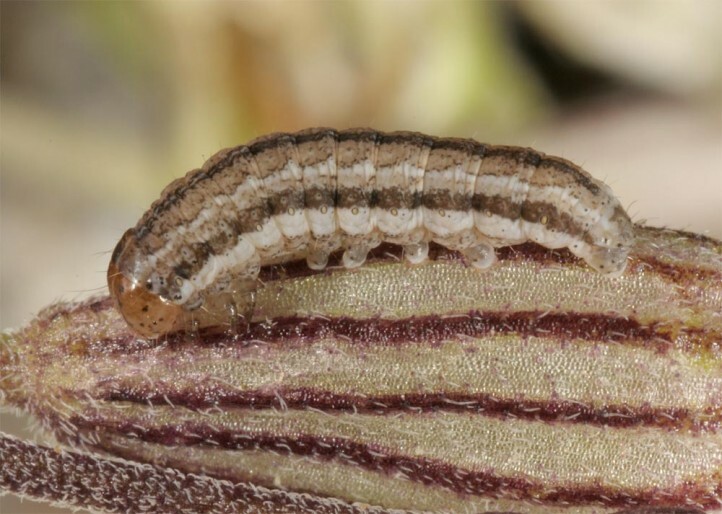 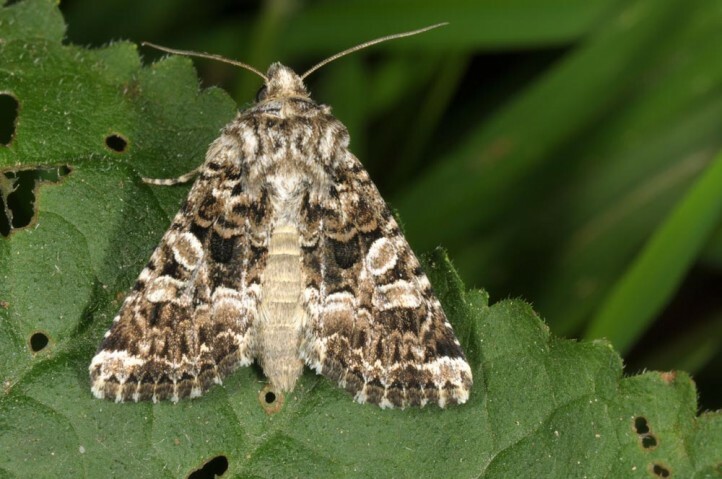 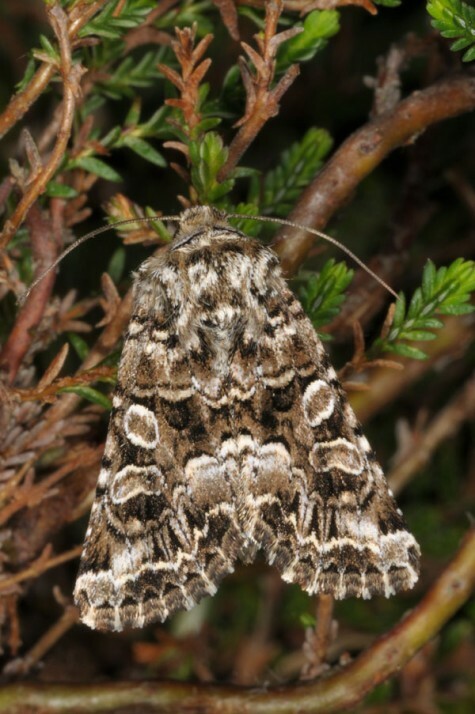 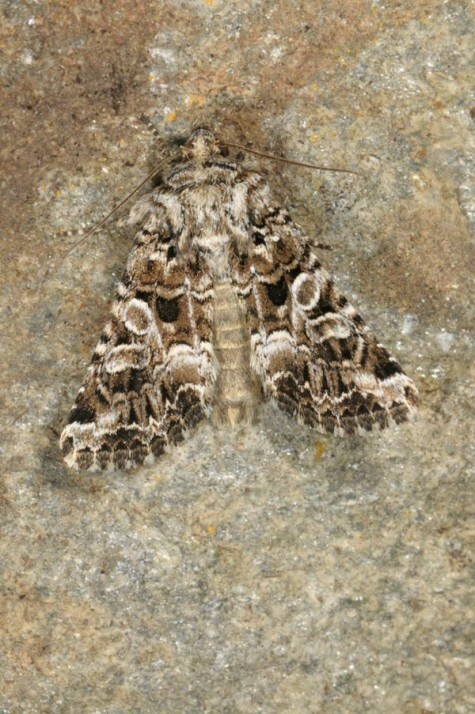 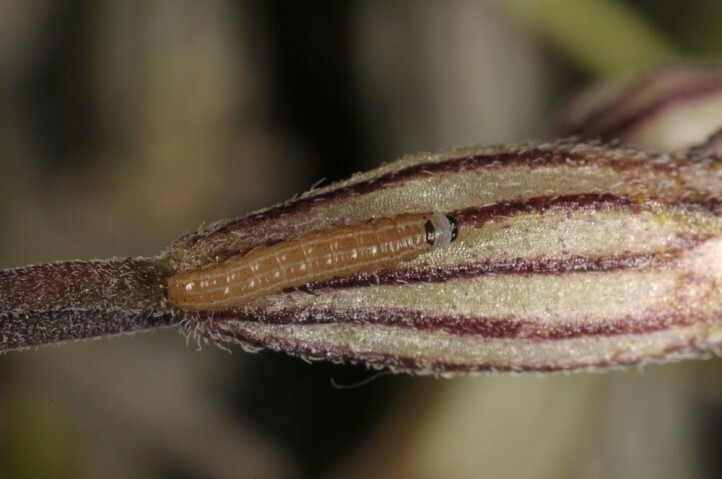 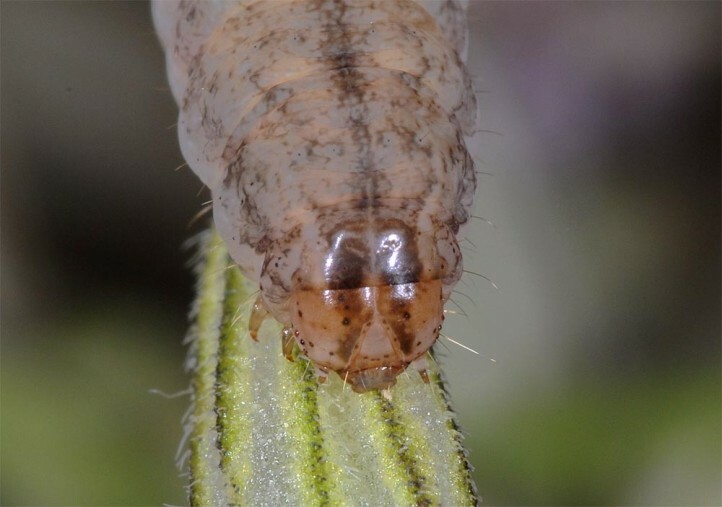 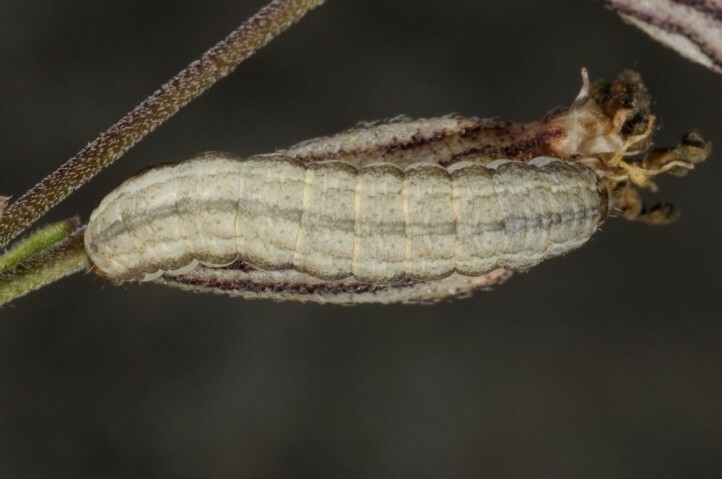 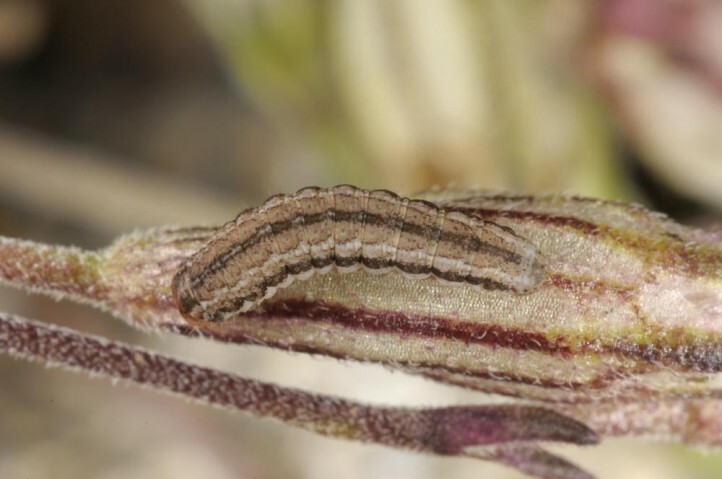 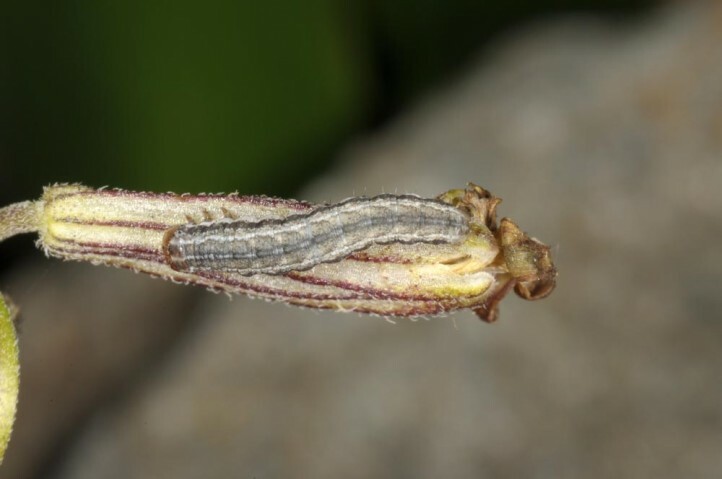 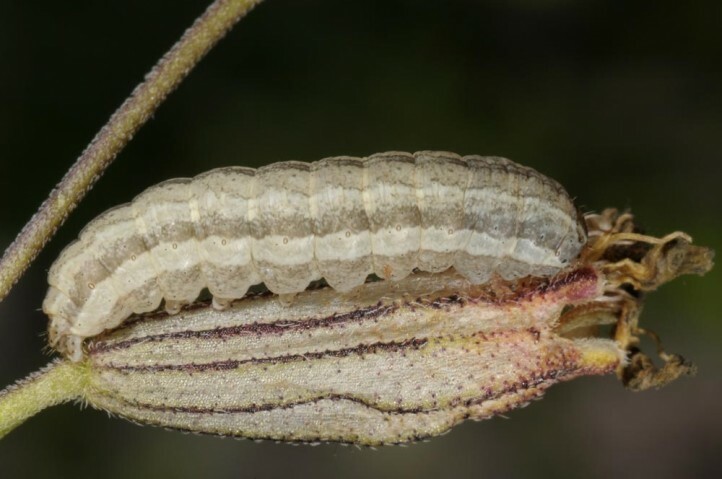 The larvae have so far been found only in Silene ciliata (in the eastern Pyrenees) where it was syntopic with Hadena confusa. 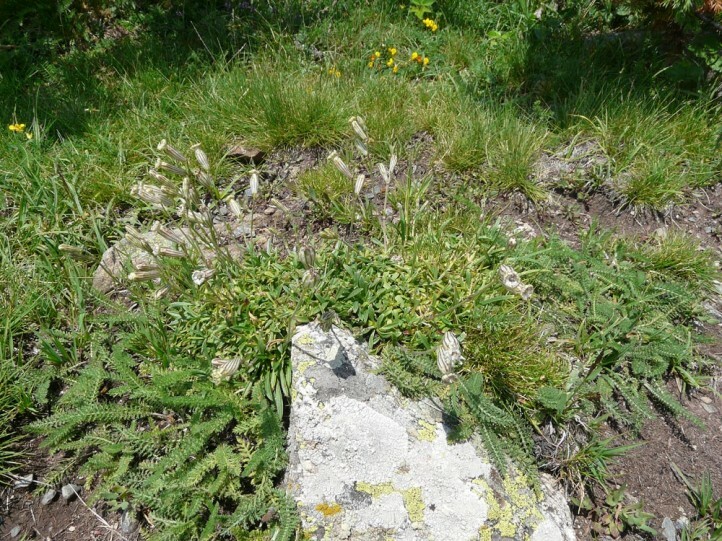 It was not detected in nearby stands of Silene vulgaris which was hostplant for Hadena caesia, H. perplexa and H. confusa (Col de Puymorens). 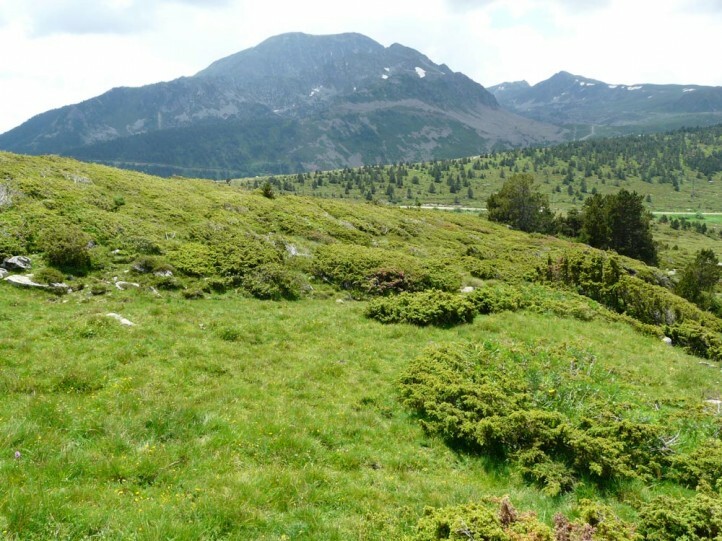 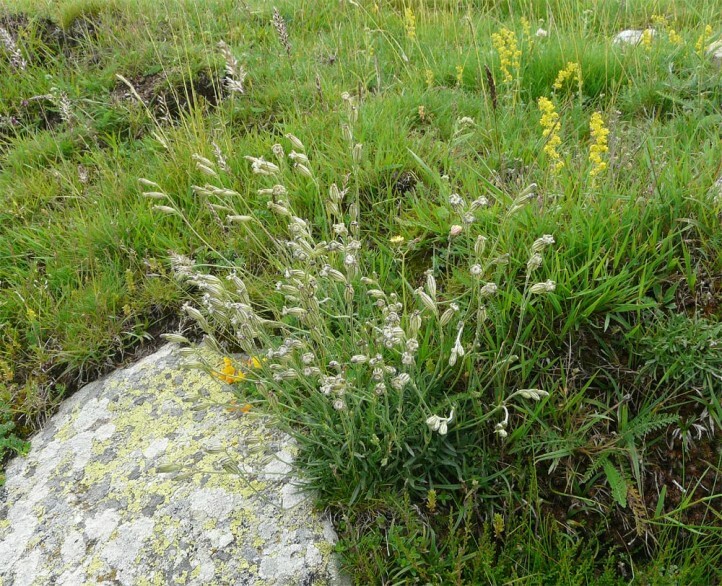 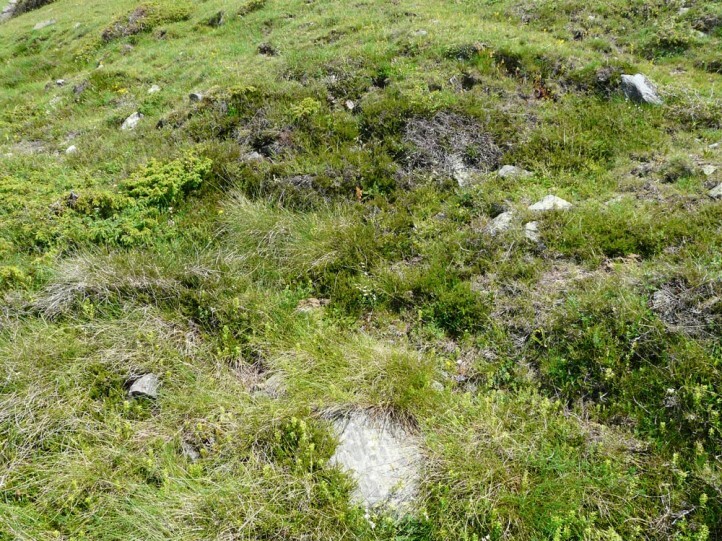 Hadena ruetimeyeri inhabits often acidic pastures and dwarf shrub areas (common habitat type in the Pyrenees), which are mostly interspersed with single stones and rocks between 1800 and 2700m asl. 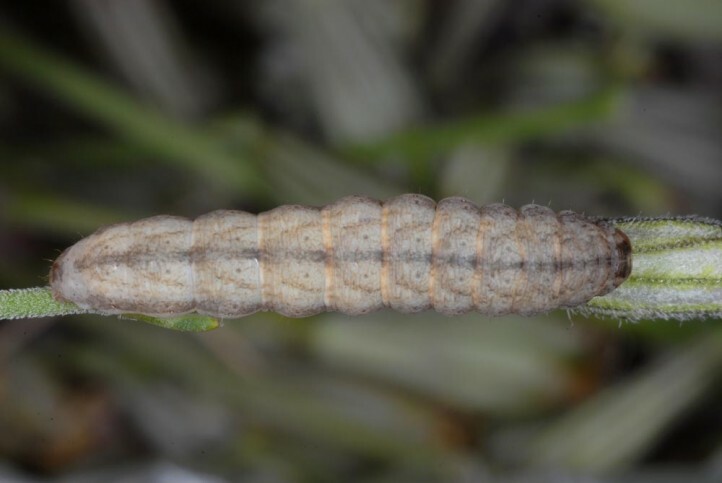 I found the larvae and their hostplants especially on the edge of dwarf Juniperus bushes in pastures. 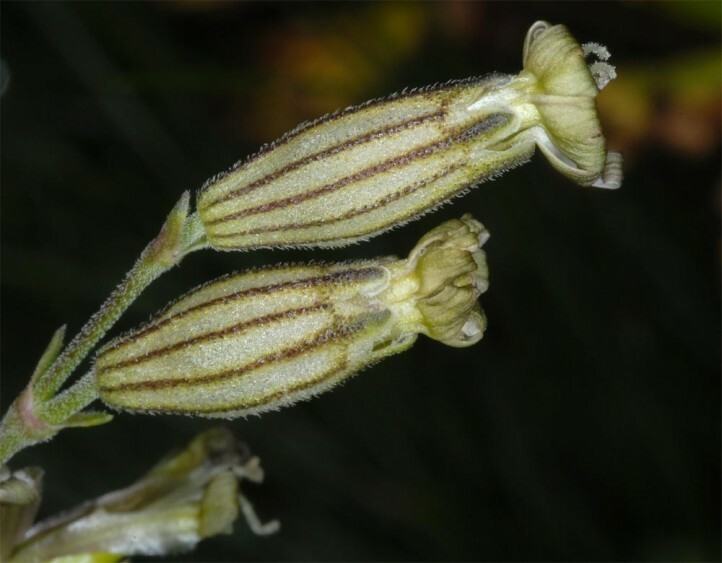 As Silene ciliata also occurs on calcareous substrate, Hadena ruetimeyeri probably also settles there. 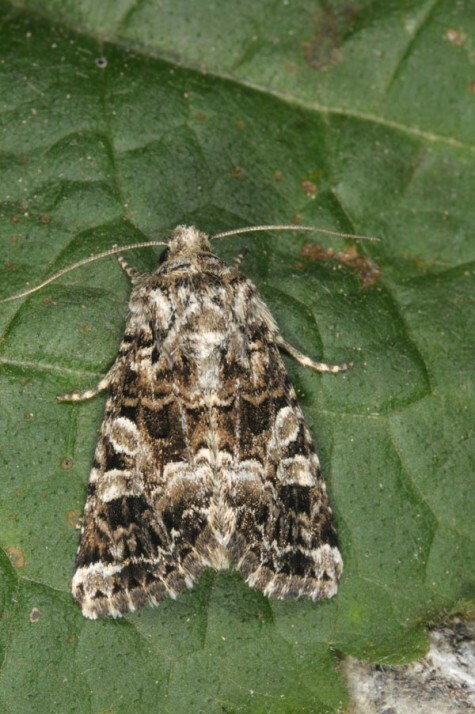 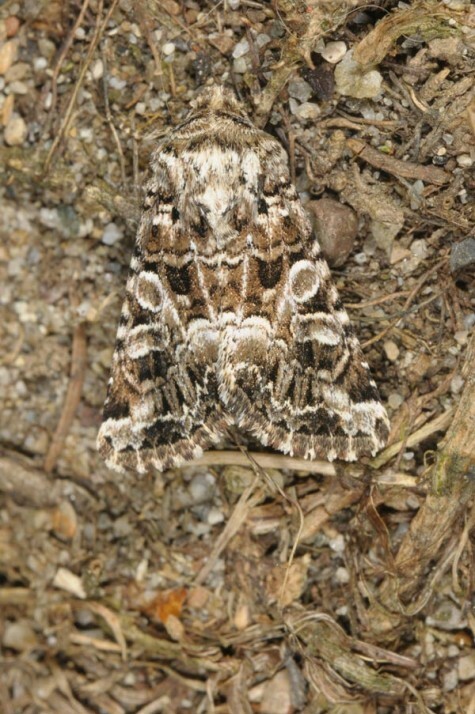 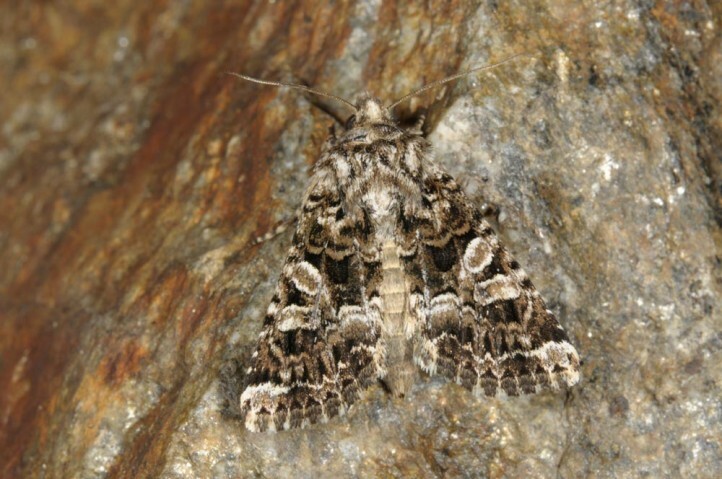 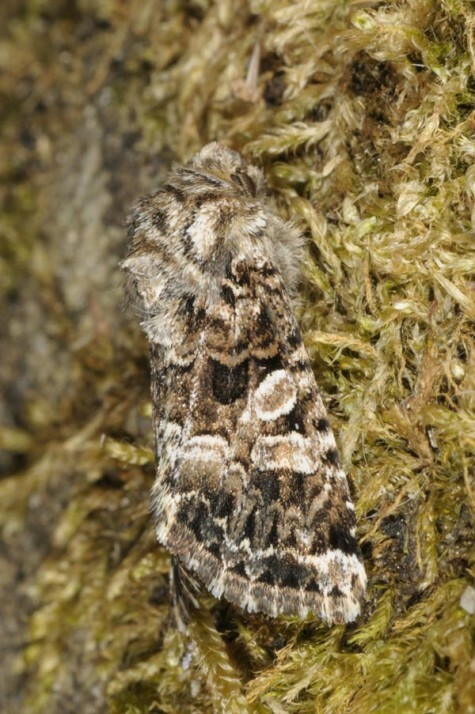 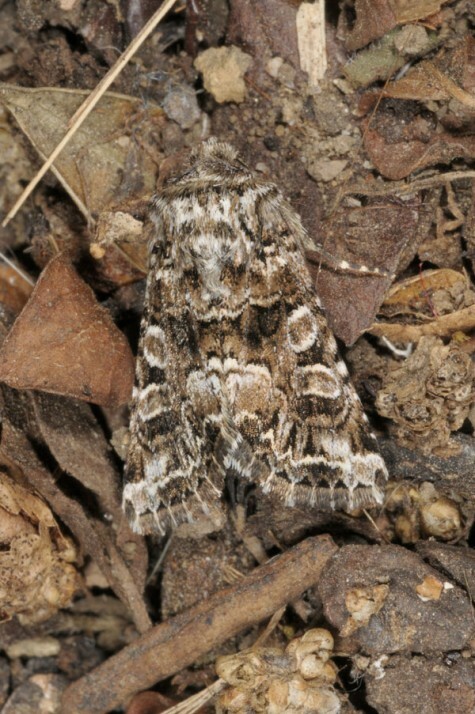 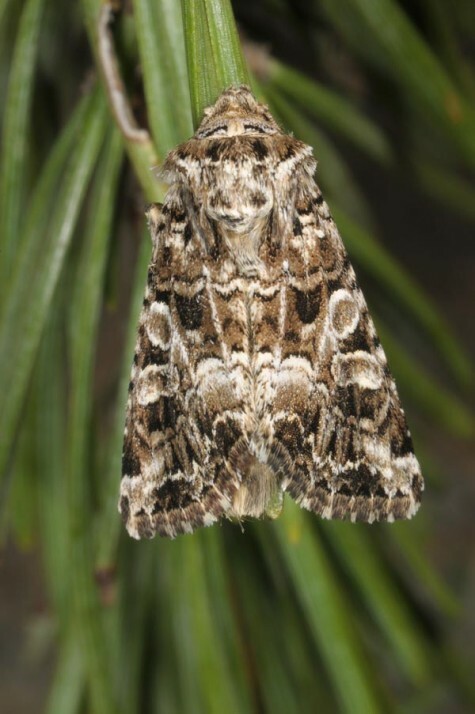 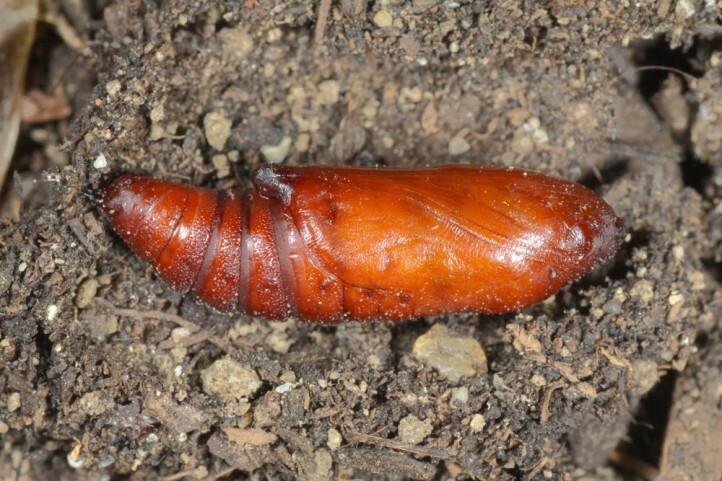 The pupa hibernates and the adults are on the wing between mid-June and early August. 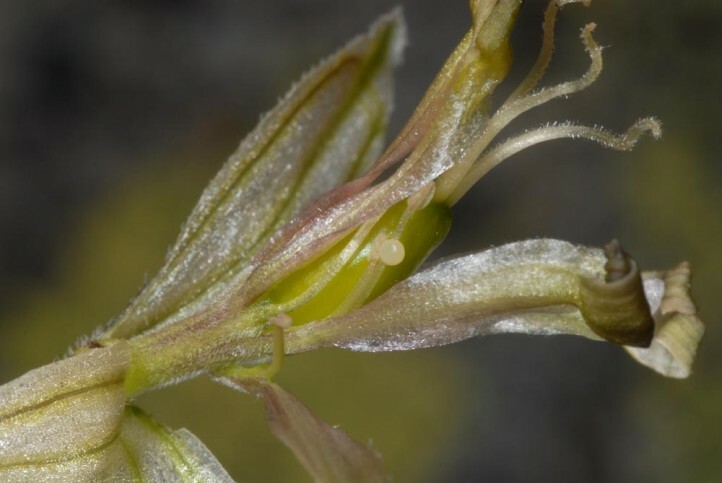 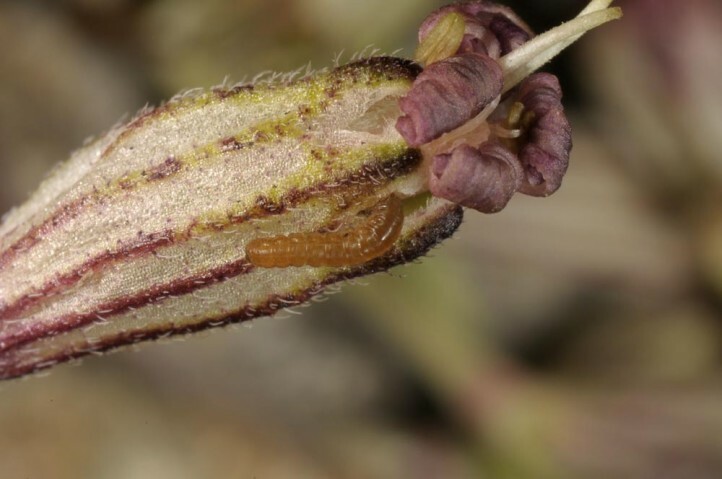 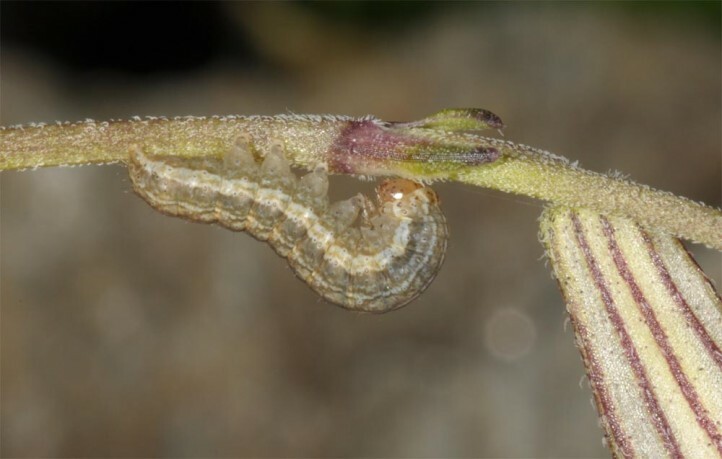 Oviposition takes place within the calyx what is typical for most Hadena species. 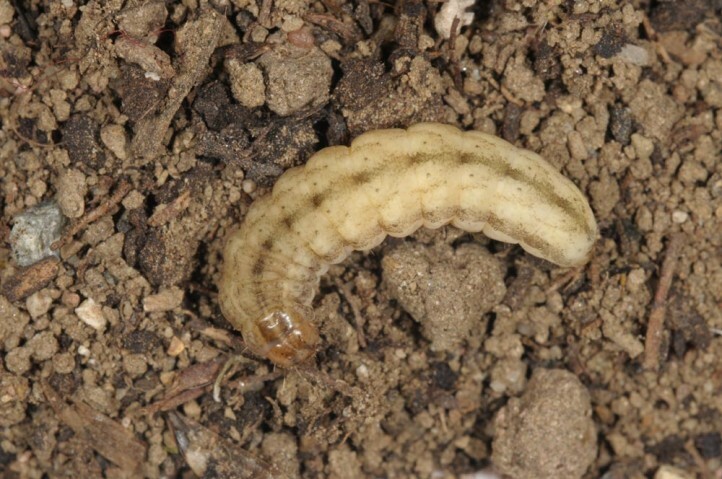 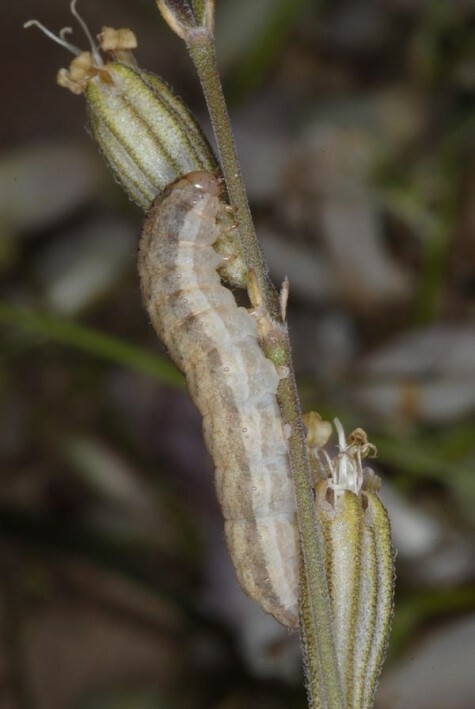 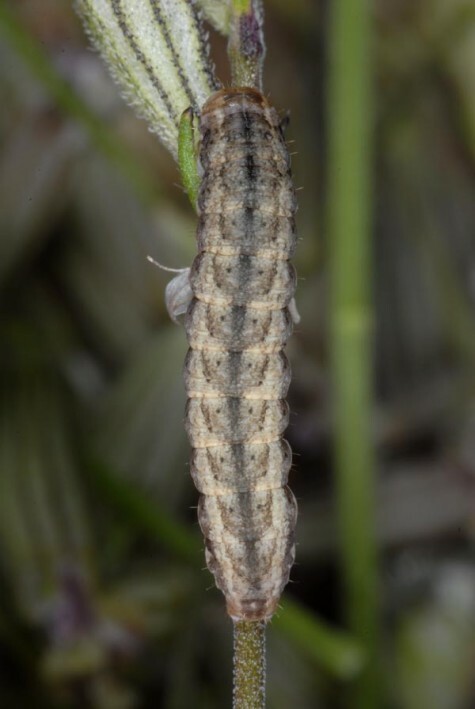 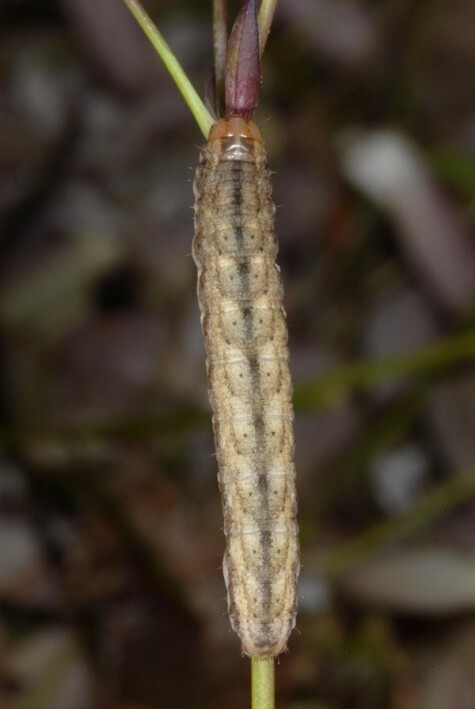 The larvae can be found between July and August and live within the capsule in the first instars. 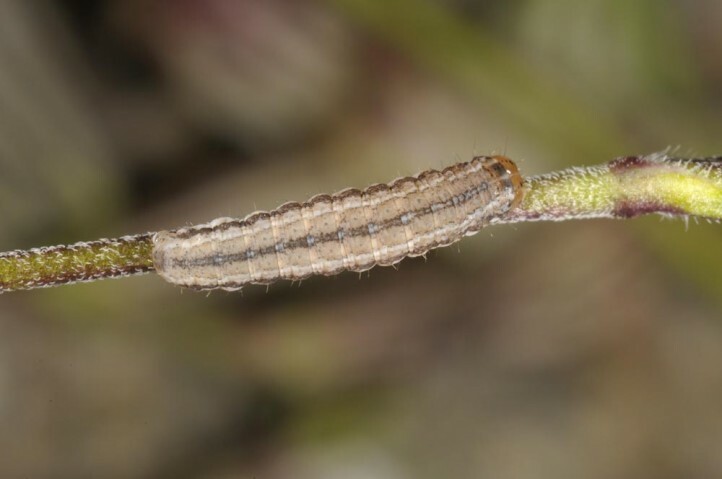 Later on they hide on the ground and climb to the fruits only at night. 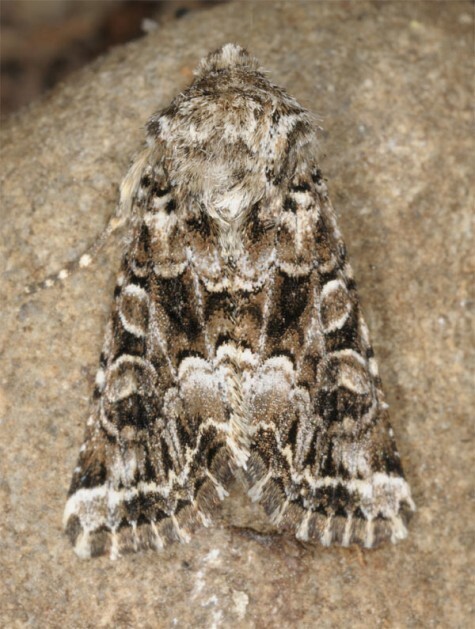 In the breeding there was a partial second generation which is unlikely to occur in the field. 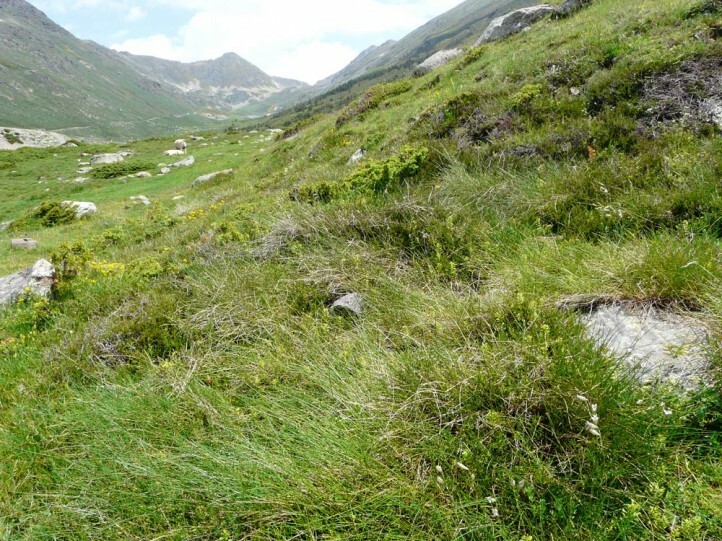 Hadena ruetimeyeri is probably only locally endangered through touristic facility development and maybe sometimes also by overgrazing. 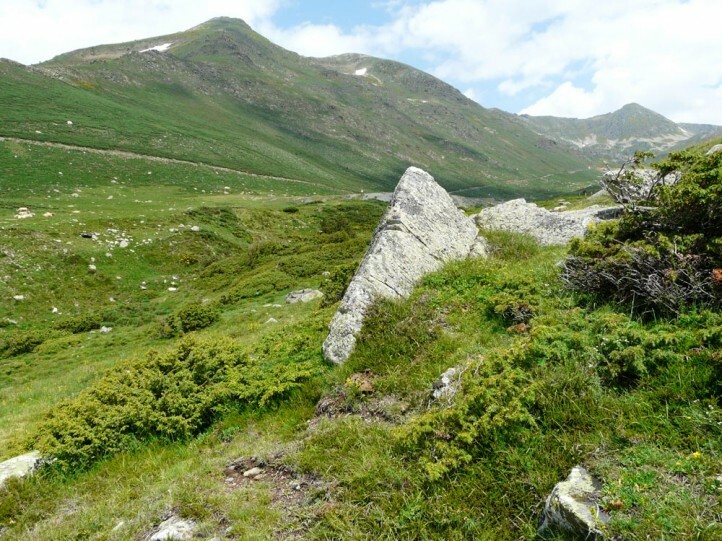 Hadena ruetimeyeri is endemic to the Pyrenees (as well in France, Andorra and in Spain) and the high altitudes of the nearby Cantabric mountains.